Texas has a rich tradition of producing incredible musicians who not only influence those in close proximity, but legions around the world. From 100 million album sellers like Steve Miller, to blues royalty like Stevie Ray Vaughn and Freddy King, to arena fillers ZZ Top. But one band, more specifically one musician, of Texas heritage has generated such a massive fan base that it is still in full bloom to this day – Pantera and its much beloved guitarist, Arlington’s own Darrell “Dimebag” Abbott. From 1990 to 2000 the band (within a radius of 10 miles between Arlington and Pantego) recorded and released (5) albums that transformed the genre of heavy metal / hard rock and also set the template for countless bands to follow. In 1994 Pantera netted the very first heavy metal album to debut at #1 at the top of the Billboard Top Albums chart. An extraordinary feat for any act, but for one so extreme and nuanced this was a near impossibility. This was a testament to not only the fans, but to the relentless work ethic of the three Texans and one New Orleans transplant that comprised the band as they toured 11 months of the year and recorded for the remainder. Along with Dimebag was his brother Vinnie Paul Abbott, bassist Rex Brown and NOLA resident, vocalist Philip Anselmo. Rising from the ashes of a middle of the road heavy rock band recording several records that garnered regional attention through 1989, it was the employment of Anselmo replacing original vocalist Terry Glaze that set the wheels in motion for Pantera to leave middle of the road behind and create a whole new sub-genre unto itself. Recorded at Pantego Sound (owned by Dime & Vinny’s Father, Jerry Abbott) Pantera laid out its new direction with the aptly titled “Cowboys From Hell.” This groundbreaking album was a clarion call that borrowed from heavy metal’s origins as well as punk to even ZZ Top’s Lone Star chug. This culminated into a style called “Groove Metal” – where the riffs are still fast, but more rhythmic and the vocals are brutal, yet still melodic. The record caught fire immediately amongst hard rock media and the public alike. Quick to hit the road opening for the likes of Metallica, to headlining a legendary performance in front of 100,000 in Russia to performing in any room that would have them, the band built up a massive following. During this time their firebrand guitarist Darrell “Diamond” Abbott soon adopted “Dimebag” as his nickname and one for which would eventually become a household name. Re-entering Pantego Sound for their follow-up, Dimebag had now established himself among the elite as a guitarist. With the release of “Vulgar Display of Power” the band was now at headliner status as arenas, theaters and festivals were their playground. The record quickly went platinum as videos / singles for “This Love” and “Walk” (to this day a Texas Rangers intro track) were in full rotation 24/7. The stage was set and 1994 was the band’s finest hour. The many previous years of paying dues touring and recording culminated into an album debuting at #1 on the Billboard charts. “Far Beyond Driven” was a masterwork of heaviness, grooves and the full flight of Dimebag’s contribution to influence a new generation of guitarists on a massive scale. His modern metallic take on Eddie Van Halen, Randy Rhoads and Ace Frehley (plus the band’s insatiable appetite to pummel the listener) created the first barnstormer since Metallica’s self-titled album three years prior. This four-piece heavy metal band from Arlington, Texas was now the number one band in the country and arguably the world. As a guitarist, Dime’s name was now being mentioned in the same breath of his legendary heroes and contemporaries, yet as his father (Jerry Abbott) summarizes - he was a humble, fun-loving, unpretentious Texas boy who just happened to be given a tremendous gift, which he used to deliver a powerful message across the globe. As with any vastly popular and powerful rising in the ranks (along with the lunacy of the music industry), a brilliant run in 1994-1995 with a #1 album, sold out tours and massive recognition - the cracks started to show. Personal issues and exhaustion were tugging at Pantera; the rigors of the life are contagion and effective. The following year in 1996 the band released “The Great Southern Trendkill,” a record chock full of fury, but you could hear their inner turmoil coming to surface. Though it didn’t have the chart appeal of “Far Beyond Driven” it still topped critics’ lists for the genre. The album included the track “Floods,” which many consider Darrell’s finest moment as a player. So as the band was fissuring, the guitarist was still reaching for new heights. Following the touring cycle for “Trendkill,” the band went on a hiatus - of sorts - to deal with their issues, work on a new album and other projects. As Anselmo got busy with his side projects (including the still popular Down), Dimebag and Vinnie Paul worked on scripting what was to be Pantera’s final bow, “Reinventing The Steel.” With its release, the band was now back atop the metal echelon as Metallica had moved into an experimental stage and it seemed no one else was up to the task. “Reinventing The Steel” featured the band co-headlining with the other massive genre-bending band of the time, Slayer. It was a dream bill for metalheads everywhere as amphitheaters sold-out to the rampaging sounds of full-throttle Texas fury and Slayer’s own brand of howitzer metal. A tour of the UK was to follow but at this point the tragedy of 9/11 had transpired and the bands had to cancel their trek due to security concerns, but in a lot of ways it signaled the end of their era. The band recessed back to the U.S. and took another hiatus, this time for good. Personal demons and injuries needed to be tended to, but Dimebag and Vinnie Paul were having none of it as they started working with other artists laying down solos for the likes of Nickelback as well as forming “outlaw” country projects with David Allen Coe with Rebel Meets Rebel. These distractions were all good and well as they waited on Anselmo to come back into the fold, but that was not to happen as Anselmo was now knee deep in bands from his home in NOLA. After years of waiting, the brothers decided it was time to bury Pantera (for the time being they hoped) as they formed Damageplan out of the ashes of their former band. Similar in sound and approach, the band was solid, but at the same time it lacked the chemistry of Pantera. The audience was sparse to accept the band and they had hopes Pantera would soon be a living-breathing thing again. That hope was tragically cut short on December 8, 2004 as Damageplan was set to play Columbus, Ohio. Without the security levels that the arenas provided, the small club was short on staff and an armed gunman jumped on stage killing Darrell “Dimebag” Abbott , his head of security and several fans who tried to intervene (as well as injuring countless others.) The gunman, a supposed distraught Pantera fan, was killed by a Columbus Police Officer who had been called to the scene, but for Darrell, it was all too little, too late as he was unresponsive and pronounced dead. His brother was able to escape the spray of bullets but was now left to pick up the pieces of this horrific tragedy. Word quickly spread that evening and by morning the entire global music community (especially the hard rock and heavy metal communities) was in tatters. How could the greatest modern player and general good soul and ambassador to their musical lives be murdered, while playing? The rock music world quickly came out in mourning and in the following weeks a huge memorial was held for Dimebag Darrell at the Arlington Convention Center. The memorial was an outpouring of emotion and a celebration of Dime’s life. It included a who’s who within the music industry with the likes of Eddie Van Halen and Dime’s best friend and co-guitar wizard Zakk Wylde in attendance. 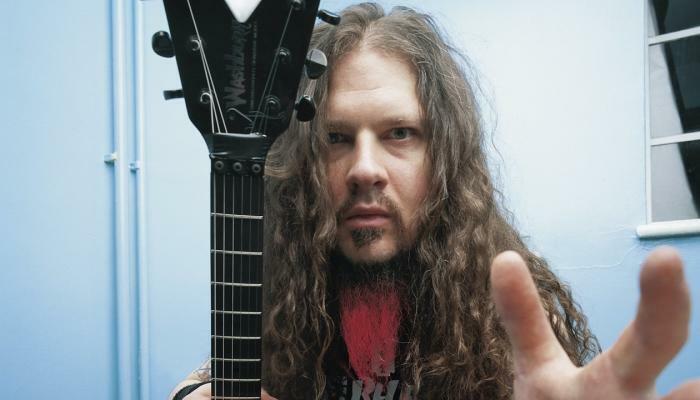 Dime, now an iconic guitar hero worldwide, is immortalized through his music. Since his death, countless organizations from around the country and the world have honored his life and name - including the D/FW originated Ride For Dime event, which is a charitable motorcycle ride that ends up every year at his gravesite at Arlington’s Moore Memorial Gardens. That ride has now spread to other cities and countries as well as the memorial concert, Dimebash, held in Los Angeles for several years running comprised of the biggest names in hard rock including: Dave Grohl, Lemmy and others performing Pantera and metal classics celebrating the life of Dimebag. At the 2008 Ozzfest in Frisco, Texas a consortium of metal artists played an hour-long tribute to Dimebag that thrilled the 30,000 in attendance. Will his legend match that of luminaries such as Hendrix or Rhoads? Most would agree it already has. It is without a doubt that Pantera inspired a multitude of today’s big rock names while giving millions of listeners an outlet for inner spirits. But it was Darrell “Dimebag” Abbott that really lit the fire for the potential of music and what it can do to help better the world. His ability to interact with fans on a day-to-day basis as he encountered them was his calling card. There was always time for a chat, a photo or if one was lucky enough a Black Tooth Grin (Dime’s cocktail of choice). His soul and joy were always on display and his reach was of global proportions but Darrell Abbott was an Arlington resident through and through. He lived here; he recorded here and now rests here. If there was ever a reason to celebrate Arlington, Texas, his music and life are reason enough. Kell Curtis is a musician, writer, music historian and owner of Wheelhouse Marketing and PR. His passions in life are beer, guitars, napping, shoes, the 70’s and 80’s, cruising, any music that has soul and volume, his cats and beer. His pet peeves are traffic and writing bios.